After surviving a near-fatal plane crash, our heroes decide to continually risk their lives for kicks. They're idiots, basically. 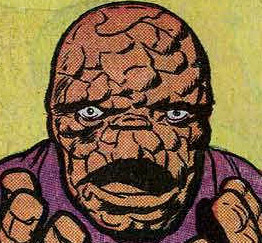 Although not strictly related to The Fantastic Four in any way, one long-standing debate surrounding "who did what?" between Stan Lee and Jack Kirby is Challengers of the Unknown. Created as part of the DC comic Showcase in 1957, they had three return appearances before being given their own title, which lasted until 1971 in its original run. The Showcase title was a prominent one for DC, whereby they were able to test new characters without the risk of launching their own series before receiving feedback. Characters introduced in the title included the Barry Allen Flash, the Hal Jordan Green Lantern and Space Ranger. As DC didn't print the names of creators, it's often debated whether Jack Kirby created the team alone, or, as some sources site, it was a co-creation with writer Dave Wood, or even his Captain America co-creator Joe Simon. What is known is that Jack moved on after just eight issues of the Challengers title. The majority of the "forerunner of the FF" claims are largely stacked around the second strip in the third issue, "The Menace of the Invincible Challenger". In it, one of the four male "Challengers" goes into space on an experimental rocketship and returns to Earth with superpowers. Although the heroes dealt with the supernatural and the world of monsters and aliens, their own physical forms were human. Adventures where they received superpowers were always temporary, such as "Red" getting the ability to create the images of his mind in Issue #2's "The Monster Maker". (Ironically, perhaps, the name of Stan Lee's unmade film script written in 1972). The powers that Rocky Davis acquires are diverse, and include flame, ice and the ability to grow to giant size. 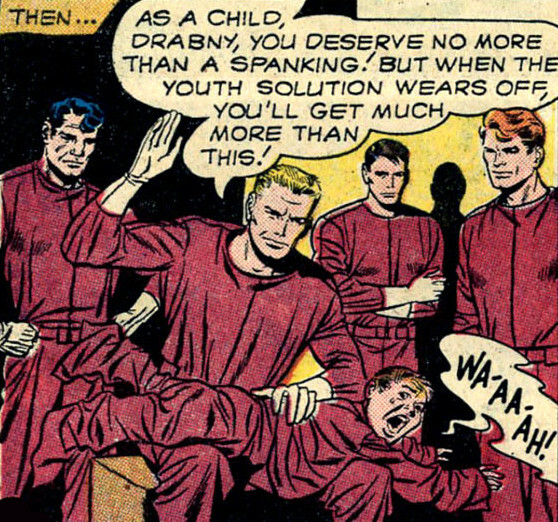 As to whether this directly influenced the Fantastic Four, then it's unclear. 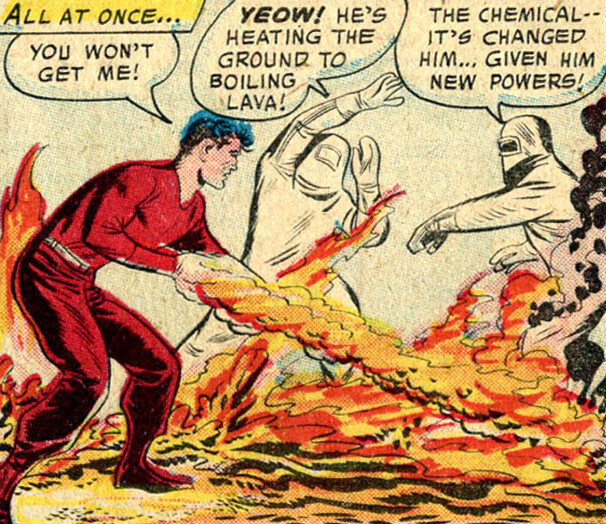 The story is often said to show Rocky also having the power of invisibility, but it's actually the ability to blend in with his surroundings, and the Human Torch was originally created, name included, way back in 1939 by Carl Burgos. Does the book bear similarities to the Fantastic Four? Well, it was being drawn by half the team behind it, so it's only natural that it features some themes and concepts that show similar trains of thought. Giant monsters - which were popular at the time, but gradually phased out in the 60s for the most part - meet aliens from outer space, or a villain with a time travel device. Super powers also turn up in several issues, as does travel in space. 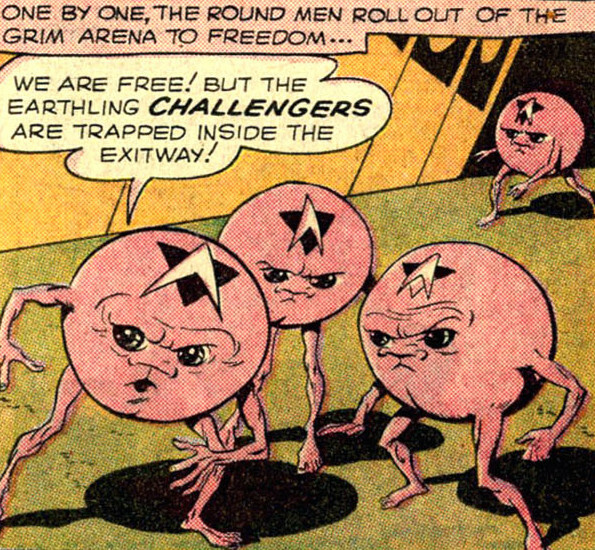 However, while some Kirby supporters seem to present The Fantastic Four as "Challengers with a female character and dialogue by Stan Lee", it's really overstating it. While of course there are obvious similarities, in many cases they're exaggerated or taken out of context to try and stretch to a point. Ironically one of the few indisputable connections - both series feature a character given the unusual name of "Karnak" - is one that I haven't seen commented on in articles that I've read. What really puts the book apart from The Fantastic Four is that, influence or not, the stories are frequently dry, and lack character. There are four Challengers - Prof Hale, Red, Ace and Rocky - but the only thing that really distinguishes them from one another is their hair colour. The strip spotlighted here is one of the better ones, but generally the tales are pretty staid and uninvolving, lacking true conflict or drama. Obviously such observations are subjective, but this is a dull, somewhat lifeless book, very much of the its time and lacking the emotional or visceral engagement of the FF. Although finding out sales figures of Golden Age titles is difficult, the reported sales figures for the title in the 1960s were just over 197,000 an issue, with an average chart placing of 46. As both figures fell throughout the decade (figures for 1964 and 1965 are unavailable), it appears clear that the title began to slip in affections. The four Showcase stories are all 24 pagers, split over several "chapters". With the advent of their own title, the format was shifted to two stories in each issue, either a 14 page and 10 page story, or a couple of 12 pagers. From Issue #4 this idea was dropped and the title went back to the single stories. This again changed with Issue #6, which once more brought back the "two stories per format" issues. The 50s inspiration for the Fantastic Four?